Just a few short years after the end of its brutal civil war, Sri Lanka—with its rambling temple ruins, leafy tea plantations, and wide golden beaches—is bursting with optimism (but not the crowds). The shift from peace to war can be famously abrupt, with neighbors turning on one another with little apparent provocation. Placid communities can become bloodbaths in the blink of an eye (Kosovo, Syria). Rebuilding in the wake of a terrible war, by contrast, usually takes decades. But Sri Lanka has managed a rapid shift from some of the most horrific carnage in recent history—a civil war that raged for more than 25 years and produced 100,000 casualties—to a peace that not only unites the country’s previously divided ethnicities but inflects the experience of any visitor to the island. Out of hotels in Galle, Galle Fort Hotel was a recommended stay from the author. Walking down past the beautiful Old Dutch Reformed Church built in 1755 next door to Amangalle and further down the street I came to the Dutch Fort Hotel. Managed by Mr. David Elgar an experienced hotelier and Australian, the Dutch Fort Hotel is a feast for the eyes and also for the lovers of the Forts history right back even further than the Portuguese. One of the suites was apparently the living area of the 14th Century Commander Chin Ho reminding us that the Chinese were here a full century before the Portuguese. The original foundation of this mansion is over 400 years old and was probably used by the Portuguese and Dutch as a trading office. The present hotel is a reflection of the grandeur of 400 years with the restoration completed by two enterprising foreign gentlemen who were experts at restoration. It was sold to a local family about 4 years ago and continues to be an attraction of old world charm and superior hospitality. The hotel has 12 suites and averages almost full occupancy throughout the year at an average USD 250++. 50% of reservations are direct and the rest walk-ins and web based. General Manager David Elgar says he is very happy with his staff and is very content to be here. To understand the Galle Fort Hotel is to understand its history and the valuable contribution it is making towards tourism in Sri Lanka. The Galle Fort was built first in 1588 by the Portuguese and then extensively fortified by the Dutch during the 17th century. It is a historical archaeological and architectural heritage monument, which even after more than 423 years has stood the test of time, due to extensive reconstruction work done by Archaeological Department of Sri Lanka. In 1988, UNESCO listed Galle Fort as a World Heritage Site. Prior to the departure of the most recent British administration the majority of properties in Galle were handed over to a predominantly Galle Muslim community. In those days other wealthy families would have used the GFT as weekend retreat. Mr Azhar is the owner of a gem, jewellery, miners and exporters business, is located 3 shops down from the Galle Fort Hotel. He has been in the business for 50 years and his family are 3rd generation resident’s of Galle. His Uncle Mr Muhiden was the previous owner of GFH and conducted his gem distribution business from the hotel. In 1999 the Sri Lankan government lifted the 100% tax on foreign ownership, which resulted in Australian, Karl Steinberg, and his Malaysian partner Christopher Ong purchasing the dilapidated and abandoned 17th century Dutch merchant’s house. Spending two years renovating the house using local craftsmen and traditional building techniques and by 2004 the Galle Fort Hotel opened. The Galle Fort Hotel has won a number of awards including the 2007 UNESCO Asia Pacific Heritage Award of Distinction, for heritage conservation. 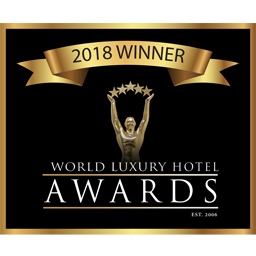 It was the 2010 winner of ‘Sri Lanka’s Leading Boutique Hotel’ at the World Travel Awards. 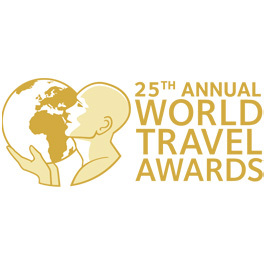 The hotel was again nominating in the 2015 World Travel Awards as Sri Lanka’s leading boutique hotel. In 2011 Colombo Fort Hotels an associate company of Lankem Ceylon PLC purchased the hotel. A gorgeous hotel, Galle Fort. Extracted from: SOMEWHERE. Unique – Online Magazine for Travel Inspiration. 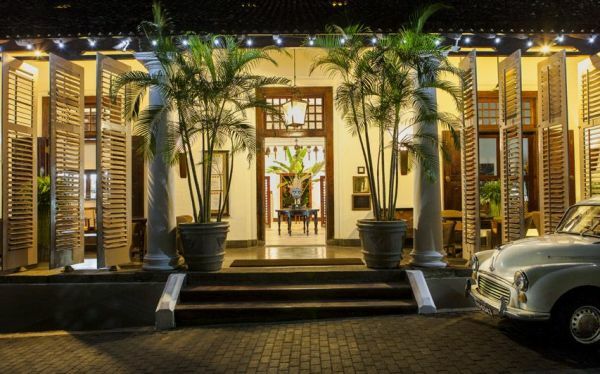 Among the hotels in Galle, Galle Fort Hotel, a 17th Century Dutch residence, is in the heart of Galle, Sri Lanka. Galle, a former fortified town with a mix of Dutch, British and Sri Lankan architecture, is a UNESCO world heritage site and one of Sri Lanka’s principle tourist destinations. The hotel has 12 rooms, 3 standard with verandas overlooking the garden, and 9 suites perfect also for families. All rooms are decorated with antique and contemporary furniture, four-poster beds and colonial-style details. Some suites are double storey and adorned with antique Chinese and South-East Asian elements. The internal courtyard and the garden are ideal for reading a book, taking a tea with freshly baked tarts and the pool is perfect for lying under the sun, or take a swim. The hotel makes amazing fusion food, combining Sri Lankan specialties with Southeast Asian cuisine. Wonderful Galle is a must see on any journey around Sri Lanka. Situated close to the southern-most tip of the island Galle forms a natural post, which is the reason the Portuguese, the Dutch and then the British chose it as the colonial centre of trade, a status Galle only lost to Colombo hundreds of years later. Stay in this UNESCO World Heritage Site for a minimum of two or three days on your journey around Sri Lanka for an alternative to the beach life, and for a welcome shopping break. Galle Fort Hotel one of the unique Colonial hotels in Galle, has a wonderful history. Spanning its chequered history, the space has been a town house, a post office and a bakery amongst other occupations. Set within the 17th-century fortifications of Galle, this hideaway has a calm that attracts writers — including, recently, Paul Theroux and Alexander McCall Smith (who worked on one of his detective books in his room). Galle Fort Hotel has just eleven rooms, many of which are suites, with their own original features. Aesthetic Voyager stayed in The Library, which in line with its namesake, offered plenty of reading material for lazy poolside afternoons when all the shopping and site-seeing is complete. The interiors have an elegant traditional colonial-tropical look, with four-posters draped with white chiffon.